It’s all over bar the shouting for a rent strike in the city after landlords win a key court battle. In a test case at Leeds County Court His Honour Judge Greenhow grants landlords permission to evict tenants who have been refusing to pay a 9% rent increase imposed in January. The grassroots strike, which broke out in the Harolds terraces in Burley, had spread to Harehills, Armley, Wortley and parts of north and east Leeds, with tenants setting up their own Defence League. 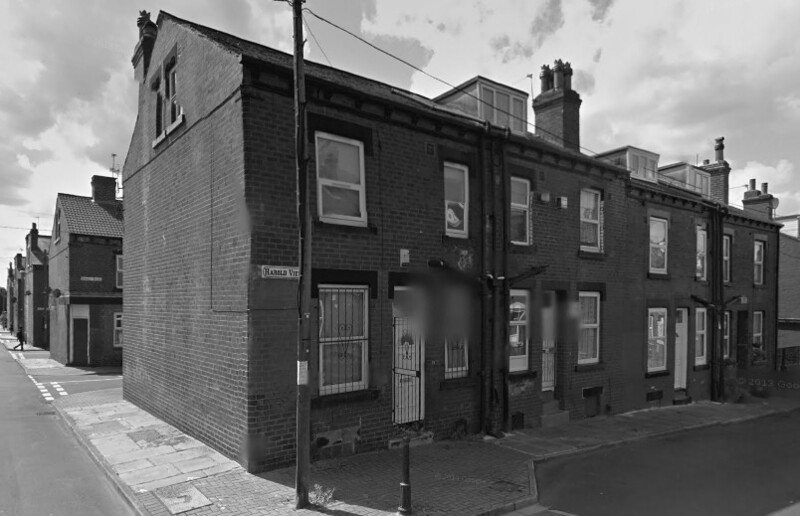 So, off to court went the Leeds Property Owners’ Association to establish the landlords’ legal right to take possession of those houses where tenants were refusing to pay the 6d a week increase. Why won’t the tenants pay the extra sixpence that the landlords are demanding?, the 82-year-old judge asks the tenants’ solicitor Walter Foster at the hearing. “Because they cannot afford it,” says Foster. “One of these defendants has a wife and five children, and he earns 25s a week. He pays 5s 6d rent at present, leaving 19s 6d to provide for seven people. 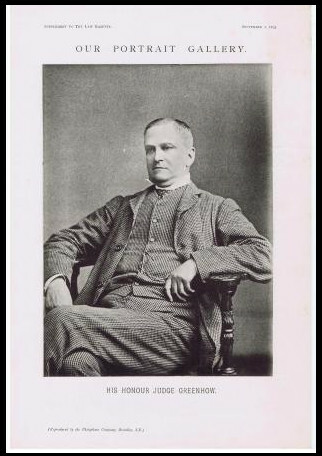 Ahead of the judge’s decision, Foster cross-examines J. H. Catlow, a landlords’ representative who owned “about one hundred” homes in Leeds. The exchange is published in the Labour Party’s ‘Leeds & District Weekly Citizen’. “(Foster) Will you give a guarantee you will not increase the rents further? (Catlow) No, I will not. (Foster) And your alternative is ‘get out’? (Foster) Do you think that is just and right? (Foster) Can you tell them where to go if you do not receive this money? (Catlow) No, that is not my business. (Foster) These people have families of children, have not they? (His Honour Judge Greenhow intervenes) You may take it for granted they have large families. They always have. (Foster) What is to become of the wives and children of these tenants? They have not inflicted any crime. 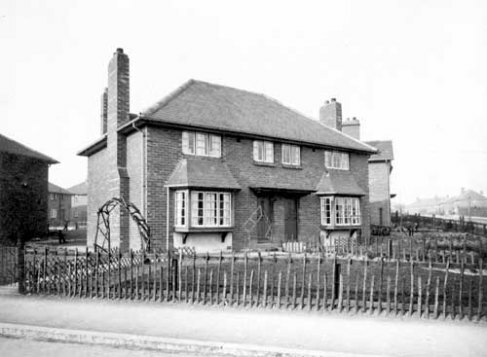 Early council housing in Middleton 1920s. The rent strike was happening against a backdrop of a chronic shortage of decent, affordable homes for the city’s workers. The local Labour Party was campaigning for municipal housing to be built, but its 16 councillors had no power in the council. Over the past 20-odd years, the Conservative-led council had cleared over 5,000 slum homes in areas like Quarry Hill and Kirkgate, but hadn’t replaced them. There were still 78,000 back-to-backs left – 71 per cent of the city’s housing stock – and 14,000 of them had just two rooms. Speaking after the Judge’s ruling, Tenants’ Defence League secretary (and Leeds Labour Party president) Harold Clay told a meeting in east Leeds that the tenants had been beaten in terms of the law, “but the fight was not ended”. “Private enterprise having failed to supply decent houses at an economic rent, it should be the duty of the municipality to step in,” he said. The municipality would only start to step in five years later when central government required councils to provide “homes fit for heroes” returned from the war. And when the council housing came in Leeds it was mostly too expensive for people stuck in the back-to-back slums. Here’s a thing: it turns out that Judge William Thomas Greenhow had an elder sister called Frances who married into the Luptons, a prosperous cloth manufacturing Leeds family, and co-founded Leeds Girls High School. Now the eldest child of Frances’s eldest child was one Olive Middleton. Leeds? Middleton? Yep, the sister of the presiding judge in the rent strike case ended up being … the great-great-great-grandmother of the Duchess of Cambridge. You can read more about the strike here. 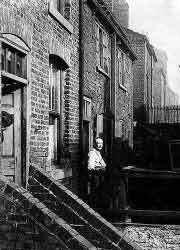 This entry was posted in History, Leeds1914 and tagged #leeds1914, 1914, council housing, frances lupton, harold clay, judge greenhow, kate middleton, leeds, leeds city council, leeds county court, leeds labour party, leeds rent strike, tenants' defence league. Bookmark the permalink. A shortage of private sector housing causing rising rents? Nothing really changes does it? This is why I laugh at people who talk of “progressive society”. With housing, Britain hasn’t progressed in 100 years. Interesting to note that these people have no trouble telling each other what they think, and no problem with discussing money. We are often told that the British reluctance to discuss money is a traditional character trait, but from this evidence it is only a recent development in history.